This pastor said that each person that was accepted into one of the programs of this ministry was required to participate in the daily habit of prayer and Bible reading. Getting God’s living, breathing, and life changing Word into these precious people each and every day is what has facilitated the most change. Because the Word of God is powerful, alive, and active and because it does not return void, this habit builds a hunger for more and is soon replaced by desire. I have definitely found that to be true in my own life. Daily scripture reading, sadly, had never been a part of my life. A few years ago I decided to change that. 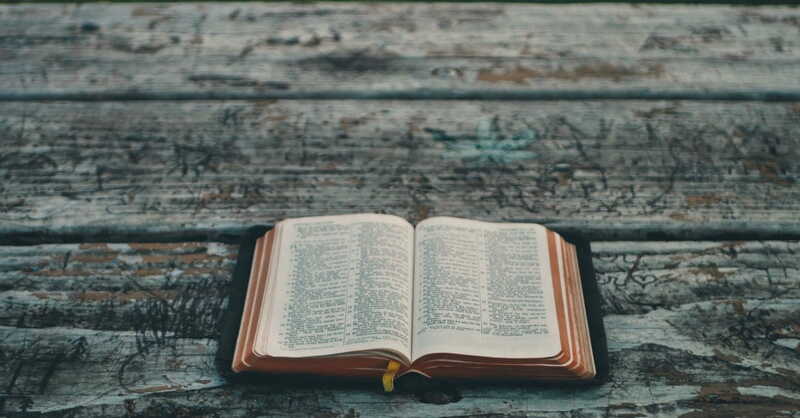 What began as an attempt to become more knowledgeable about the Word of God became a burning hunger to draw closer into relationship with Him and to experience Him fully. As this New Year dawns, many of us are looking for resolutions that will truly change our lives. I encourage you to consider making a daily, meaningful quiet time spent in Bible reading and prayer one of your resolutions in 2017. God’s word will not return empty. Throughout the Old Testament, people were continually building an altar to God. It was a place that they could return to worship, to praise, to remember, and to give thanks. It held special meaning and significance. It was a place where the people knew they were going to honor God. Editor's note: This content was adapted from the original article "10 Tips for a Better Quiet Time in 2017."